How do you get and use Quick TM and Charge TM to change your movesets in Pokémon Go? From beating a Raid Boss! Movesets are one of the most important elements of Pokémon Go. Generated at random, with the roll of virtual dice, movesets can make your favorite Pokémon devastating… or just leave you devastated. Previously, one bad moveset and your Pokémon was done. Now, with Technical Machine — Quick TMs and Charge TMs — you'll can "re-roll" your Pokémon's movesets and reshape its destiny. Technical Machines are items you can use to permanently teach a Pokémon a new Fast Attack or Charged Attack. In other words, a TM will let you "re-roll" either the Quick Move or Charge Move for your Pokémon, forever altering its moveset. Unlike evolutions, which are set, movesets in Pokémon Go are determined at random and essentially "rolled" every time you hit the evolve button. Many of us have been there: We catch or hatch a near-perfect or flat-out perfect Dratini. We walk it for a hundred kilometers or more, catching and hatching more along the way, until we finally have the 125 candy needed to evolve a Dragonite. Steel Wing + Hyper Beam. The worst moveset in the current pool and one that's nowhere nearly as effective as the best, Dragon Tail + Outrage. So, all that walking, all that catching, all that waiting, and all that work is out the window. Pokémon Go's infamous Random Number Generator (RGN) — a roll of the dice — has spoiled your perfect Drat. But not with TMs. With TMs, you re-roll one or both of those moves and get something better. Why are there two kinds of TM? There are two kinds of TM because there are two kinds of moves: Quick and Charge. If you get a Quick TM, you can use it to change the Quick Move of one of your Pokémon. If you get a Charge TM, you can use it to change the charge Move of one of your Pokémon. Both are kept in, and can be used from, your Items list. Can you use TMs on secondary Charge Moves? Yes! Introduced with PvP Trainer Battles, you can now get a second Charge Move for your Pokémon. If you're willing to pay the Candy and Stardust cost. But, they too are generated at random. So, if you get something terrible, you can Charge TM it until you get the one you want. How do you get TMs in Pokémon Go? Not easily! Pokémon Go hasn't made Technical Machines available from PokéStops the way berries, potions, revives, eggs, and even evolution items are. No. If you want a technical machine, you're going to have to beat a Raid Boss or complete Special Research and hope to get the TM as part of your rewards. Your oh-so-random rewards. The higher level the raid — from one to four normally, five for Legendary — the more rewards you get and the more likely it is you'll get one or more technical machines. How do you use a Quick TM or Charge TM in Pokémon Go? You can use a Quick TM or Charge TM right from the Item screen in Pokémon Go. Tap on a Fast TM or Charge TM. (scroll down to see them). Tap on the Pokémon you want to use the TM on. Tap on Yes to confirm. Then cross your fingers and hope for the best! Are you guaranteed a new move from a Technical Machine or can it re-roll the same move over and over again? When you use a Quick TM or Charge TM, you're guaranteed a different move from the one your Pokémon currently has but not necessarily a new move. For example, you could use a Quick TM on an Exeggutor with Extrasensory and get Bullet Seed, which is new, but then use another Quick TM and get Extrasensory again, which is different than the current one, but not new to that Pokémon. Theoretically, Pokémon Go could lock out TMs after you've gone through the existing pool, so you don't waste them by accident. But, if you discover a better use for a different move, or combinations or damage calculations are changed again, you might want a previous move back. And this way you'd have a way to get it. If there's only one Quick Move available for your Pokémon, how will the Quick TM work? Likewise, if a Pokémon can only have one of two Quick Moves, the TM will alternate between them. For example, Machamp can only have Bullet Punch or Counter, so a Quick TM will simply switch you back and forth between them. Can you get legacy movesets through Technical Machines? 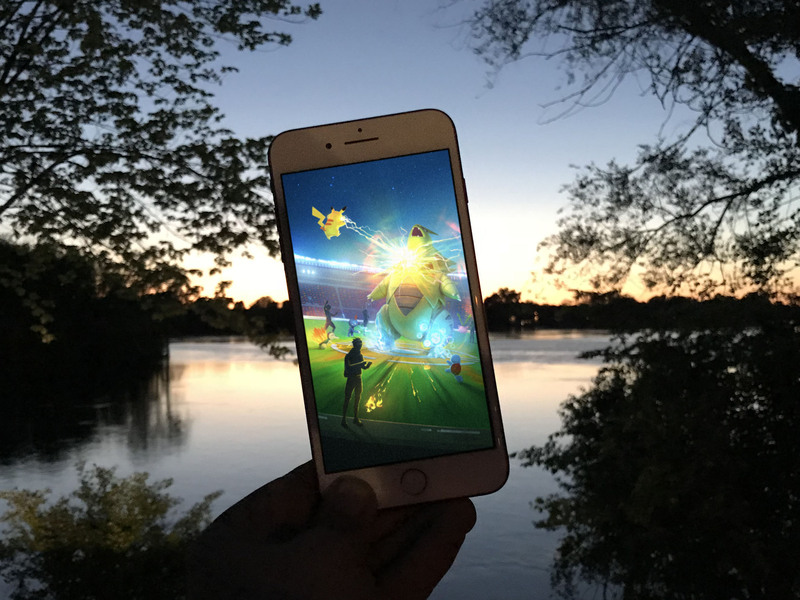 Once and a while Pokémon Go changes the moves available to Pokémon. When an old move is no longer available, it's considered "legacy". For example, you can no longer get a Dragonite with Dragon Breath as a Quick Move. And Technical Machines don't change that. So, if you use a Quick TM or Charge TM, you'll only ever get movesets that are available to Pokémon from the current game pool. What makes some movesets better than others? There are a few factors that contribute towards making some movesets decimating and others… duds. STAB, or same type attack bonus, means you do extra damage when using a move that matches your Pokémon. For example, a Machamp (Fighting) will get STAB if it has Dynamic Punch (Fighting) but not Heavy Slam (Steel). Type counter, or the ability to do more damage against specific types. For example, a Lapras with Blizzard or Ice Beam is a Dragonite's worst nightmare. A Lapras with Hydro Pump, not so much. Speed, for both offense and defense. For example, you can sometimes get off three half-bar moves and finish a battle before you could get off two full-bar moves. Some moves also prevent you from dodging for longer, leaving you open to charge moves. That's why a moveset that gives you STAB, is type-effective, and delivers significant damage per second is great. And one that doesn't… is not. Or why Machamp with Counter + Dynamic Punch is a Blissey-breaker and Tyranitar's bane, and one with Bullet Punch + Heavy Slam is often left on the bench. How do you know which movesets are the best? Opinions vary. Some people look at the math and stats while others run endless simulations and still others focus on real-world experience, personal preference, or behavioral observation. Any Pokémon Go Technical Machine questions? If you have any questions about Quick TM or Charge TM in Pokémon Go, or any advice you want to share about movesets, drop them in the comments below!